Colin and Dave had a long chat about this on the podcast (which was excellent as always- if you aren’t a listener, but like maths, then become one! You won’t regret it!). They postulated that the numeracy qualification was perhaps not big enough to be equivalent to a GCSE and they had a few nice ideas about what could be on it. That got me thinking, if we did split it, what should go where? And could the numeracy alone be a GCSE? I think that we could create a stand alone GCSE, but I would call it “Numeracy and Problem Solving”, I would keep the subjects together until KS4, ensuring a basic grounding in each. I would like to see plenty of number on the NPS syllabus, including Fractions, Decimals and Percentages. Certainly things like interest, compound interest etc are paramount in a world of unscrupulous bankers and payday loan sharks. I would like a massive part of it to be around estimation and checking (and, of course, rounding!) include a focus on the all too often missing “common sense“! 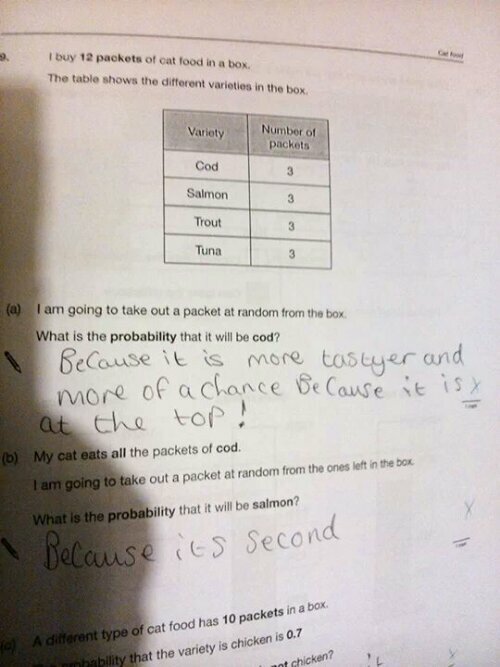 I would have some basic probability on it to ensure pupils know how daft some gambling is. I would like to see some modelling on there too, as I feel that is a neglected skill at KS4, and one that is extremely important. There would be a large focus on problem solving, and I think it would be imperative to include a bit of basic RAT Trig (Right Angled Triangle Trigonometry. I would say “and Pythagoras’s Theorem”, but that would anger Colin, so I will say “including Pythagoras’s Theorem,” instead). I guess it might seem strange at first, but I know that it’s a skill joiners use, and others in trades that pupils who I know wouldn’t choose maths have ideas to go into. 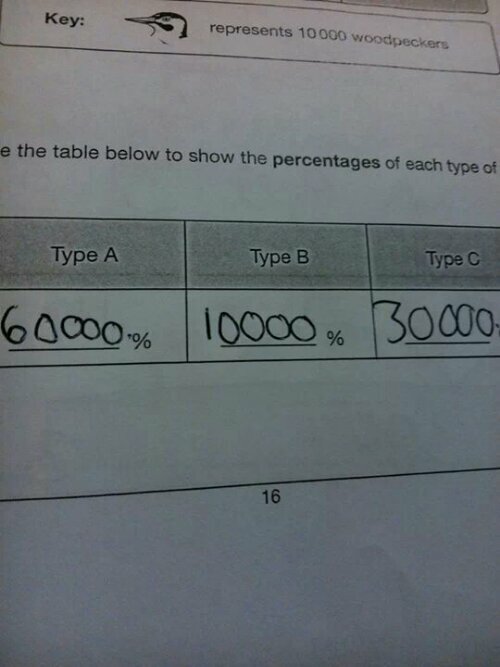 That would leave maths. The higher number stuff would be here (prime factorising, etc). The majority of GCSE algebra would be there too, and some a level stuff too (I’d forget about the GCSE nth term stuff, and go straight to the A level stuff!) I’d like an introduction to calculus and an introduction to topology. Some higher probability stuff, and a good basis to build A Level stats on (variance etc). Perhaps and introduction to matrices and complex numbers too! I think there are many positives about these ideas, but I would worry about the take up of maths GCSE, and the potential damage that could do to maths A Level and undergraduate take up further down the line. If you have anything to add, please comment, and if you have any links to other blogs etc around these ideas, I’d love to have them too. Marking exam papers, a strange experience everytime. Full of anticipation, pride, frustration, fury and humour. Some answers are incredibly funny! The last few weeks have seen my Y8, Y10, Y11, Y12, and Y13 classes all sit internal exams, and as such I have had a lot of papers to mark. While I was marking today one of my Yr12s dropped in and asked what the funniest answer I’d seen were, and there are many. I thought I’d share some of the highlights. “Tom shouldn’t ask his teachers because teachers work too hard and as such don’t have time to eat pizza”! And while we’re in questionnaire questions, why do so many just tick a box?! The most worrying type of answer is the one that shows there is no common sense being used. Colin Beveridge often tells an anecdote about a student who was adamant the moon was 5cm away as his calculator said so. Today I was marking a paper by a yr11 (who scored a bit overall). There was a question along the lines of “Mary’s goat produces 22.1 litres of milk a day, estimate how many half litre bottles you can fill after 280 days.” The student in question had quite a lot of working out, and came to the final answer of “4”. If you are not open mouthed, look at the question again. See it? More than 20 litres a day, half litre bottles, so more than 40 bottles A DAY, for nearly 300 DAYS! To leave the answer 4 shows that no common sense check has been applied. There were a few instances of this across the class (a top set of very intelligent young people), so I’m going to work on some common sense in our first lesson back. There was one student who had got slightly mixed up with how many cubic centimetres were in a cubic metre who answered a question about a tank emptying by saying “200000 hours, (haha, I know that can’t be the answer, but I can’t find my mistake)”, which shows that she at least had applied common sense to her thinking. 20 questions about C1 is an Ebook from Flying colours maths’s own “Colin Beveridge”. The book is a revision/help guide for pupils studying Edexcel A Level Maths C1. It is written in a way which takes students logically through the sticking points of C1 and gives plenty of help on the understanding of the topic, and plenty of little tricks and mnemonics to help them remember stuff in the exam. The book explains things brilliantly, and in a way that is humorous and engaging. I don’t think I’ve ever laughed out loud at a revision guide before! My only slight criticisms of the book are that on a few occasions, i.e. transforming graphs and dividing fractions, the help is constrained to the “how” of it, with not the why. And that Colin dismisses completing the square as pointless, but I feel that it is great for explaining the quadratic formula, is useful for seeing if a graph has real solutions and has its uses for higher level polynomials for those who go past A Level. Colin and I differ on our opinions on the best way to complete the square, but his explanation of the equating co-efficients method is superb. If you, or someone you know, is struggling with any of the topics involved in C1 then I would certainly advise buying a copy for your kindle. It is far better than any of the other C1 revision guides I have come across, and would be worth the money for the jokes, or the story of “bad guy x”, alone! Today, during my further maths AS class, I had an extremely worrying experience. One of the students made a glaring error in rounding, but had been taught that way! The student in question is in Y13, and has picked up Further Maths as an extra AS level. She is averaging an A over her first 3 modules (C1, C2, and D1) so is certainly bright and good at maths, so what was the problem? The question they were solving was a mechanics question and required them to round the answer to 1dp. The answer they had to round was 6.14463. The student wrote 6.2. Obviously I said, “just check your rounding there,” so she did. And replied “I have, still 6.2”. To say I was surprised would be an understatement so on asked her how she had got her answer. I was aghast and open mouthed, as were the entirety of the class. She asked “what?” I asked if she was sure that hoew you rounded, and she told me yes, that’s definitely how she’d been taught. (Not at our school, I hasten to add, she joined at the start of Y12). I calmly stated, “but rounding to 1dp is the same as rounding to the nearest tenth,” I saw the lightbulb come on in her eyes, she looked at her page and exclaimed “oh, how could I be so stupid? !” I then asked how she thought people rounded pi as there was an infinite number of digits, at which point she just said, “I have no answer, I can’t believe I never questioned that, it is so obvious.” I didn’t even need to prove it via basic subtraction. This worried me, I knew that one of my KS4 pupils had attended that school, so I sought him out and asked if he’d been taught to round there. He had, and the same way as the yr13 had. This in itself was very worrying, I mentioned it in the staffroom and was met by shock and disgust, but one of the supply staff told me that earlier in his career he’d taught it wrong and that everyone in the school he had worked in at the time had done it that way. Another member of staff said her daughter had been taught wrong at a different local school, another said they’d seen a resource online that had it that (the wrong) way and a Y12 student had been taught wrong at her previous school which was out of the area. The whole episode has left me with a few thoughts. How have so many maths teachers entered the profession with an inability to round? Why hasn’t this been picked up? Why are pupils blindly learning this without question? We need to be creating independent thinkers! Are there any other areas of maths being taught wrong on this sort of scale? If you are ever looking for a topic to give for an interview lesson, do yourself a favour- choose rounding! This idea was also one that jumped out at me when I read this article on the BBC website. The suggestion was that poverty has little effect in some other countries, so it shouldn’t here. But that suggests that poverty alone is the issue that effects academic achievement, when in actuality it is a crude measure which is indicative of a variety of other factors, the effects of which we should be trying to minimise. The bbc article also fails to take into account the relative differences in culture, the hours of schooling and other factors that vary between countries. In Britain the reasons mentioned above are prevalent in many families that fall below the poverty line. The level of education of the parents is one that we are working on, but we could do more. Perhaps schools should offer more adult education classes to enable parents to help their children at home. Perhaps the government could provide some resources to enable parents to learn the skills they’d need to be able to help. (Maybe all parents should be issued with Rob Eastaway’s Maths for Mums and Dads?!) A reformed system of higher education, replacing the current student loans system with a graduate tax, would perhaps stop the stigma of “debt” being attached to university places and allow more people from disadvantaged backgrounds to access higher education. The Pupil Premium payments are going some way towards allowing schools to offer disadvantaged pupils some of the opportunities that others take for granted, but there is still a large gap in the equality of opportunity that I feel needs a multiagency approach that needs to be driven by the government. The third issue mentioned is one that would be eliminated by the introduction of a living wage. This would stop the need for massively long working weeks, allow more people into work and improve outcomes for all. On the whole schools are working tirelessly to close the gap, and I would suggest that in many areas there has been significant improvement. I do feel, however, that we need a more holistic approach which would allow for a more equal society. Last weekend I attended a day of lectures as part of my MA course. The focus of the day was on barriers for learning and it was quite intensive. Part of the day involved looking at the statistics involved in various things and seeing how they related to the development of children and the lecturer mentioned the idea that a false variable can skew ones ideas, and can make it look like something is having an effect, when in reality it is something else. This idea of false variables is one that has been “following” me around recently. The first book I read this year was “The Simpsons and their Mathematical Secrets” by Simon Singh. In the book he discusses “Simpson’s Paradox”. The example he uses is in relation to the US government vote on the American civil rights act of 1964. In the north, 94% of democrats voted for the act compared to 85% of republicans. In the south 7% of democrat voted for, and 0% of republicans did. However, overall 80% of republicans voted for the act, compared to 61% of democrats. This example is great for showing Simpson’s Paradox and really emphasises the fact that stats can be deceptive. The worrying thing is that these stats can be manipulated to show that a higher proportion of democrats in the north and in the south supported the bill, or that a higher proportion of republicans supported the bill. Meaning both sides can legitimately lay these claims and hence really confuse the electorate. The fact of the matter is that the real variable that was feelings towards the bill differed largely due to attitudes in the north vs attitudes in the south, rather than a political allegiance. Simpson’s paradox also appeared at school recently. A teach-firster in our department was planning a lesson on probability and asked me if I knew “that thing where you have a higher probability of picking one colour in each bag of balls, but if you put them all into the same bag you get a higher probability of the other.” This produced a rather interesting discussion, around Simpson’s Paradox, no one else in the department were familiar, and they all found it pretty interesting. We both then included it in our lessons. The question was around bins with coloured counters in them and showed that you had a higher probability of picking black counters from the blue bin in two cases, but if you combined the counters into the same bin, the higher probability came from the red bin. I’ve been thinking a lot about teaching styles and talk in lessons recently. This is due in no small part to the fact that I’ve recently completed an assessment on the subject. One text I read whilst researching my assignment was; “Towards dialogic teaching: rethinking classroom talk”, by Robin Alexander. One thing that struck me from this text was a comment he had about the progressive vs traditional teaching debate. The debate has raged for decades, traditionalists being billed as people who believe teachers should talk and pupils should listen, and progressives being billed as people who believe teachers should hardly talk and that lessons should be a series of student led tasks based around enquiry learning. The debate goes on and people get very passionate about it, but I think in reality most people would agree that a mix of activities from both sides, when appropriate, is what is required. I firmly believe that as teachers we need to be planning and delivering appropriate lessons. There isn’t magic formula that will work for everyone, so we need to chose the right thing for the right class. The point Robin Alexander made in the book was about the extremes. He postulated that both sides of the debate fall down majorly, and for the same reason. That reason being that both sides require either the learners, or the teachers, to be passive in the lesson. His idea is to create a dialogue in the classroom which enables teachers and learners to be actively involved. To create teacher-student and student-student conversations which make all parties engage with the conversation and hence the content of the lesson. This idea seems to make a lot of sense. Talking is how we learn, it gives us a way to make sense of the world around us and helps us organise our thoughts. When we are young we cannot internalise this process. That’s why young children, such as my 18 month old daughter, commentate as they go through life. She does it less now, but a short while ago we had a 24-7 running commentary! (“Walking…running…all fall down. Eating, sandwich, jumping” etc). This is part of the learning process, and we still do it as adults, but not always out loud. In many ways I’m doing it now, writing this blog. It’s helping me set my thoughts on this topic out in a more coherent manner! So with that in mind, it would seem logical that talking in lessons is a good thing. But that it needs to be the right talk. Last week my year 11s were completing a task on circle theorems, and one group of four boys were having a fascinating discussion around one of the problems, reasoning with each other around the question and postulating which theorems would get them the correct answer. It was immensely satisfying for me, as there teacher, to be able to listen to it. This sort of talk is vital, and is exactly the sort of thing Robin Alexander advocates. This idea of active engagement in conversation on the subject matter is something that I think we need to be embracing. It already plays a major part in my A Level and year 11 lessons, and I intend to try and incorporate it more in my other lessons. We don’t need to eliminate talk from our lessons, we need to ensure it is the right type if talk. I do, of course, realise that this should be used as well as other styles, where appropriate. Robin Alexander’s book is well worth a read, its pretty short and very affordable and if you’re interested in teaching then I’d suggest giving it a go.